This can be very confusing to newcomers since there are several different types of Shag. Early 1930's Shag: This is a 6 beat form of dancing that would be similar to the 6 beat forms of Retro Swing we see today using [Step Step] [Kick Step] [Kick Step] types of step patterns. Arthur Murray put out a good training film in 1937 presenting this form of Shag. Speed Shag (Kenny Wetzel Style): (AKA: St. Louis Shag) Is an 8 beat style of Shag which can be done at very high speeds. This is also sometimes referred to as Speed Shag. It feels best done at over 200 beats per minute and attainable speeds of over 300 beats per minute. This style of Shag is an offshoot of the original Charleston style of dancing. The basic patterns of this form of Shag are close together with no basic step patterns such as you see in West Coast Swing. Also see St Louis Shag, Updating The Count. Charlie Womble & Jackie McGee Style: Uses both 6 and 8 beat step patterns with a lot of styling action in the lower body. 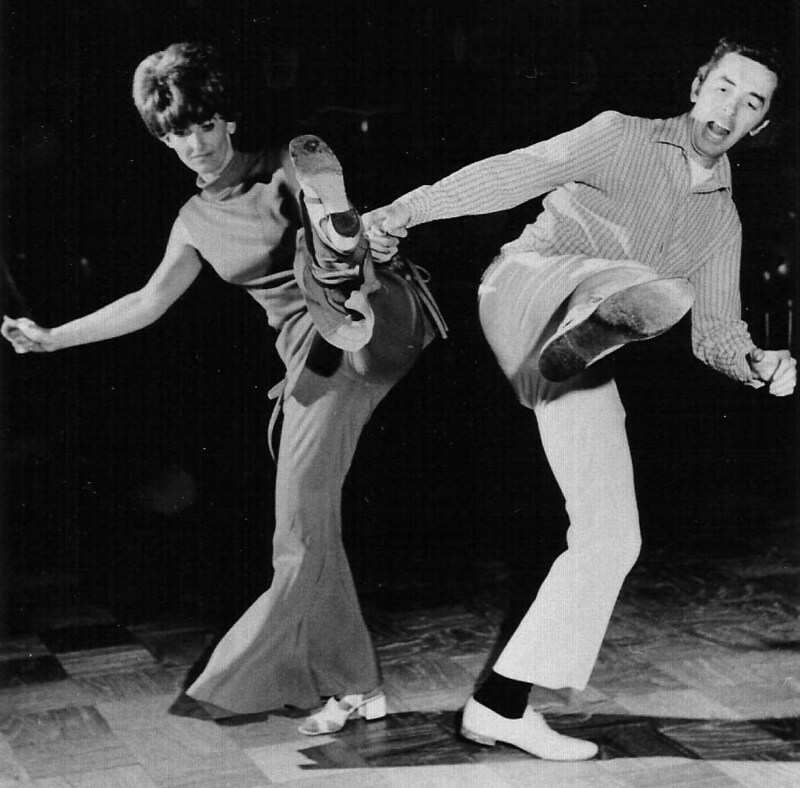 If you see someone doing West Coast Swing with rubber legs and tight footwork, you are probably seeing this style of dancing. This is also referred to by many as Carolina Shag. 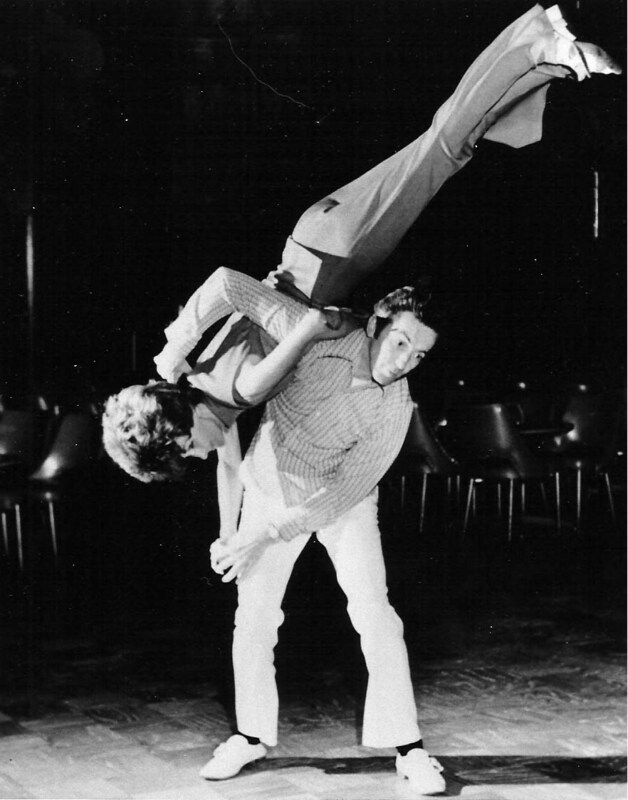 See the many similarities to what is done today in Balboa, St. Louis Shag and Lindy Hop. Jonathan Bixby & Sylvia Sykes have the most complete set of Balboa and St. Louis Shag instructional videos available in the world. Their Balboa coach was Maxie Dorf whose Balboa styling you will see throughout the videos. Their St. Louis Style Shag coach was Kenny Wetzel. ShagDancers.com - Video clips of several Carolina Shag dancers.